Tapering steel plates are stacked and leant against each other to define geometric planes through a sculptural form. Added drama is created by the stack’s apparent (but not actual!) instability. 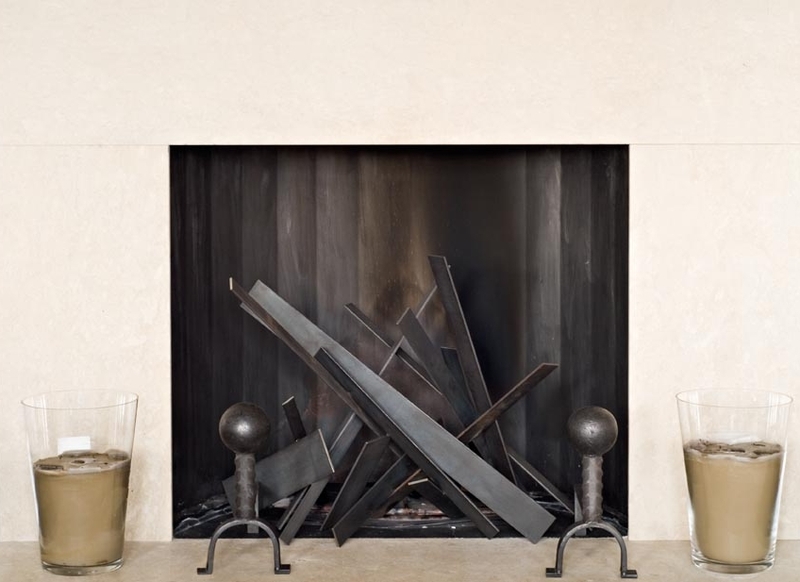 Once the concealed burner is ignited, flames lick through the steel elements which begin to glow, providing a compelling heat source that still radiates warmth hours after the fire has been switched off.